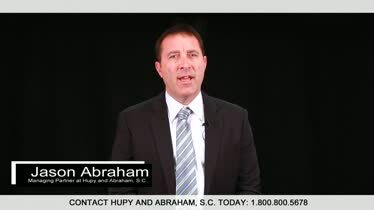 Wisconsin Personal Injury Lawyers | Hupy and Abraham, S.C. In one instant, someone else’s negligence left you injured and changed your life. Whatever you were doing prior to the accident is now replaced with doctors’ appointments, with worry about paying your bills while you are out of work, with physical pain, and with emotional suffering. For the past half century, our personal injury lawyers have been helping people who have been hurt in all kinds of accidents. We understand your questions and we will provide you with the answers that you need to make important decisions about your future. It is our job to ease your mind and to help you get your life back on track as quickly as possible. Our mission includes helping our clients in any way that we can, going above and beyond the call of duty, and giving each client personal attention. We have five offices throughout Wisconsin—in Appleton, Green Bay, Madison, Milwaukee, and Wausau—which means that Hupy and Abraham can be wherever you need us to be, but we are careful never to spread ourselves too thin. Our sole focus is on helping people who have been seriously injured by other people’s negligence. Right now it may feel like all of your options were taken away from you. It wasn’t your choice to get hurt, and you have no choice but to get medical care and to follow your doctor’s treatment advice even if that means staying out of work or missing out on the things that you enjoy. Hire an experienced attorney to advise you..
You may not have to make a decision today, but your time to take action is limited by the statute of limitations. Accordingly, today is the day to learn more about your rights and about what you might recover in a Wisconsin personal injury case. An experienced Wisconsin personal injury lawyer knows how to build the strongest possible case, how to negotiate with insurance companies effectively, and how to protect your rights to a fair recovery. What Are Personal Injury Accidents? If you’ve been hurt in any of these types of accidents, then you may be able to pursue a legal settlement or lawsuit. What Kind of Injuries Are Suffered in Personal Injury Accidents? Spinal cord or back injuries. These injuries can be life changing and they can be overwhelming. It is our job to help through this challenging time and to help you get the full recovery that you deserve. How do I know if I have a personal injury case? You may have a personal injury case if you were hurt because of someone else’s negligence. Should I hire a personal injury lawyer? Yes. You won’t pay anything until you make a recovery, and an experienced personal injury lawyer who knows how to negotiate with insurance companies and who routinely handles complex cases can make sure that you get the full recovery you deserve. How long do I have to file a personal injury lawsuit in Wisconsin? In most cases the Wisconsin personal injury statute of limitations gives you three years to file a claim in court. Exceptions do apply to this general rule, however. What is a personal injury case worth in Wisconsin? That depends on your specific injuries, but it should include all of the past, current, and future costs associated with your injury. What is the process for filing a personal injury case in Wisconsin? A personal injury case officially begins when a complaint is filed in state court. Insurance negotiations may begin prior to a complaint being filed, but your case does not begin until it is officially filed with the court. What are my options if I get hurt in Wisconsin? You have the option to do nothing, or you have the right to take action on your own or with the help of an experienced personal injury lawyer. You have the right to demand a fair payment from the insurance company or the person who hurt you and, if that proves impossible, you have the right to demand that payment in a Wisconsin courtroom. How can I avoid common mistakes after a personal injury? Every action you take, or don’t take, impacts your potential recovery. You can avoid significant mistakes by speaking with an experienced personal injury lawyer as soon as possible. You likely have additional questions, and we would be pleased to provide you with answers if you contact us directly. You have a decision to make. You can choose to do nothing and to incur all of the expenses related to your injuries, even though your injuries were someone else’s fault. Alternatively, you can schedule a free consultation with an experienced Wisconsin personal injury lawyer and you can find out more about your rights and about how to protect your recovery. There is no risk involved in hiring a lawyer—not only is the consultation free, but our lawyers are not paid unless you make a financial recovery. The Wisconsin personal injury attorneys at Hupy and Abraham are here to help you every step of the way. When you work with us, there is no guesswork and there are no unanswered questions. Instead, you will be given all of the information that you need to plan for your future, and you will be assured that an experienced lawyer is working hard to get you the full and fair recovery that you deserve. Contact us online or call us directly at 1-800-800-5678 to schedule your free, no-obligation consultation. 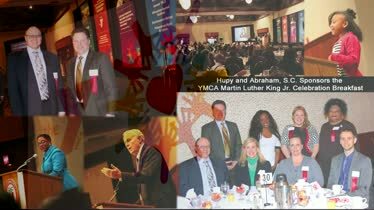 19th Annual YMCA MLK Celebration Year after year, Hupy and Abraham, S.C. has been a proud sponsor of the YMCA's annual MLK Celebration Breakfast. 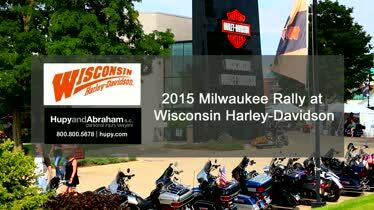 Milwaukee Rally 2015 - Wisconsin Harley-Davidson Wisconsin Harley-Davidson had over 25 bands play at their dealership over the Milwaukee Rally weekend! 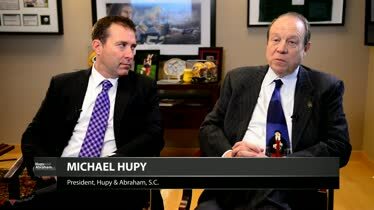 Hupy and Abraham, S.C. - Helping Charities and the Community Hupy and Abraham, S.C., in partnership with FOX Sports Supports, is donating to three charities through the "Vote for Your MVP" program. Protecting Motorists & Making a Difference in the Community Watch this video to find out what Hupy and Abraham does for the community—making Wisconsin, Iowa and Illinois a better and safer place.